COLLABSPOT Pte Ltd, which integrates customer relationship management (CRM) with Gmail, said it has secured seed funding worth S$80,000 (US$64,090) from an international syndicate of investors including Louis Naugès (France), Kevin Dewalt (US/ China) and 8 Capita (Singapore), following an earlier S$100,000 investment. 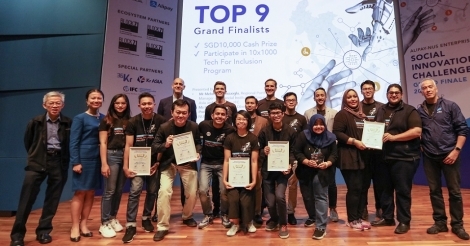 Collabspot said that two-thirds of its user base are located in the United States, and claimed that it had doubled its paying monthly active user base to 1,000 in the four months since June, when it had completed The Joyful Frog Incubator (JFDI.Asia) 100-day idea-to-investment seed accelerator programme. “I think I surprised investors at the JFDI demo day when I said we were growing organically and didn’t need their money ... but some wouldn’t take no for an answer,” said founder and chief executive officer Jérémi Joslin (pic). “So we ended up putting together a network of really well-connected people whose expertise and connections can help us make the most of all the international interest – frankly, that’s more valuable to us than cash right now,” he added. Collabspot was founded and incorporated in Singapore by Joslin and a team of developers from the Philippines in 2012. It said its users are typically small and medium enterprises (SMEs). The company announced in May that Laurent Gasser had invested S$100,000 (US$80,140) as part of a management buy-in that saw him joining Collabspot’s executive team. This Oct 9 announcement sees Louis Naugès, Gasser’s former cofounder in successful French Google Apps network Revevol, ink his name on the share register, Collabspot said in a statement. Joining him are Kevin Dewalt and John Tan, the latter a partner in 8 Capita. Like Gasser, they both got to know Collabspot while they were mentors with JFDI.Asia. “I believe the rigour of the 100-day programme really helped crystallise the team's thinking in terms of what users need,” said Tan (pic). “I was impressed with how Collabspot was able to keep refining the product while growing its user base at the same time,” he added. Collabspot joined the JFDI.Asia accelerator program in February 2013, receiving its first investment from JFDI.Asia along with intensive mentoring through the 100-day programme. It is the first from the 2013 batch of startups to confirm follow-on funding. “From our first meeting I was impressed with how much Jeremi [Joslin]and the Collabspot team had accomplished in a short time and how rigorously they were applying Lean Startup techniques to test the assumptions and scalability of the business model,” said Dewalt. “Attracting an experienced executive like Laurent [Gasser] to the team was a huge win,” he added.